commerce market may grow from US$27 billion last year to $300 billion by 2025, if the country’s digital ecosystem can leapfrog into a fully integrated “quantum commerce” environment. “This means integrating everything from your phone, entertainment, transport, health and food,” said Accenture managing director Mohammed Sirajuddeen in his keynote presentation recently during the two-day Future Commerce Indonesia 2019. Accenture’s prediction is bold and three times higher than the widely accepted Google-Temasek growth projection of $100 billion by 2025, based on a business-as-usual growth rate. While "quantum commerce" sounds like an idealistic marketing term, Sirajuddeendid pointed to China as a more concrete example of the well-integrated digital ecosystem that Indonesia needed to work toward to achieve "fantastic" e-commerce growth. He described China’s digital ecosystem as having four key structural elements: e-marketplaces (like TMall and JD.com), social media platforms (WeChat, Weibo), e-payment platforms (AliPay) and logistics networks (SF Express). Indonesia checks all boxes except for logistics networks, with its poor infrastructure that makes for costly delivery, especially in remote areas outside of Java. Shipping a gallon of water, for example, would cost 40 percent more to send from Jayapura to Timika at Rp 456,000 ($32) than from Jakarta to Surabaya, even though the distance between Jayapura and Timika is 450 kilometers, while Jakarta-Surabaya is 660 km. However, Sirajuddeen acknowledged that the government had made and continued to make improvements in logistics infrastructure, such as through the TransJava highway and Palapa Ring internet development projects. In fact, Indonesia’s ranking on the Logistics Performance Index rose 17 places to 46 out of the 160 countries the World Bank surveyed last year. Nevertheless, Indonesia remained below its neighboring middle-income countries of Thailand ( 32nd ), Vietnam ( 39th ) and Malaysia ( 41st ). The Jakarta Post spoke to executives of e-commerce platform Ralali, the Indonesia ICT Business Association (APTIKNAS) and venture capital firm Ideosource, who all agreed that logistics remained the biggest obstacle to domestic e-commerce expansion. Ralali chief operating officer Alexander Lukman explained that the root of the logistics hurdle was Indonesia’s vast geography of more than 17,000 islands spread across 1.2 million square kilometers. “We also operate in Thailand and logistics is not a problem there, because it’s just one [stretch of land],” he said. Hence, even ride-hailing platforms Go-Jek and Grab, which were leveraging their huge network of drivers to provide intra-city logistics services, were insufficient to meet the nationwide logistics needs of e-commerce, because neither company covered air or sea transport. 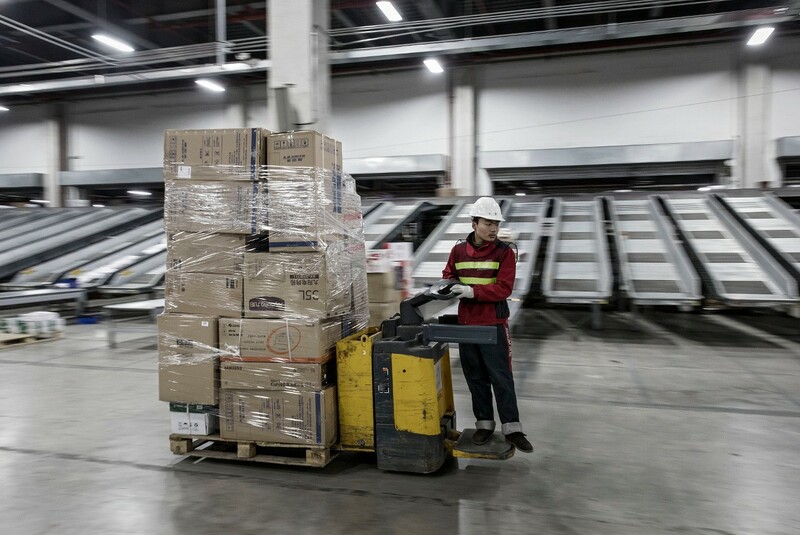 E-commerce platforms like Ralali and Tokopedia were instead working on providing suppliers with warehousing services to temporarily store goods before redistribution, thereby reducing last mile delivery costs for suppliers. Ideosource co-founder Edward Ismawan Chamdani, whose firm invested in e-commerce platform Bhinneka, suggested having a platform that tracked warehouses and client businesses so clients could access necessary goods from the nearest warehouse, regardless of suppliers or distributors. “If someone can sort out this data, we can have an efficient hyperlocal logistic system,” said Edward.